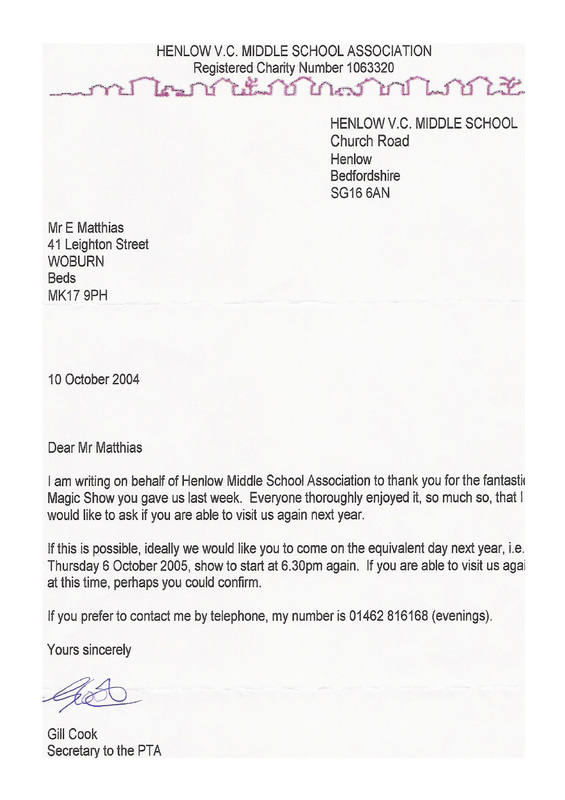 If you need to raise funds for your school, we can help. 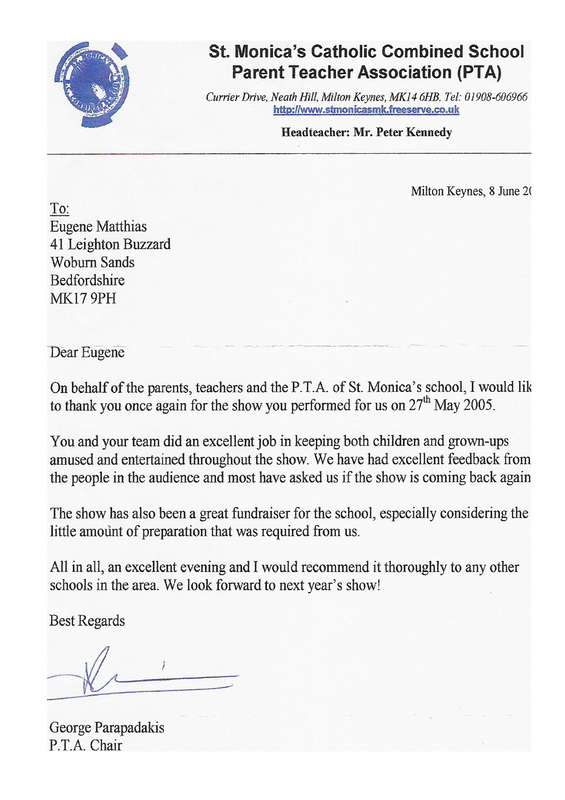 Fundraising Opportunity For School's & Clusters. 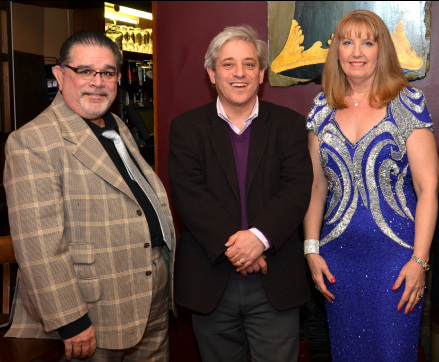 Eugene put's a two person charity show for the Speaker of the House the Rt Hon John Bercow MP. 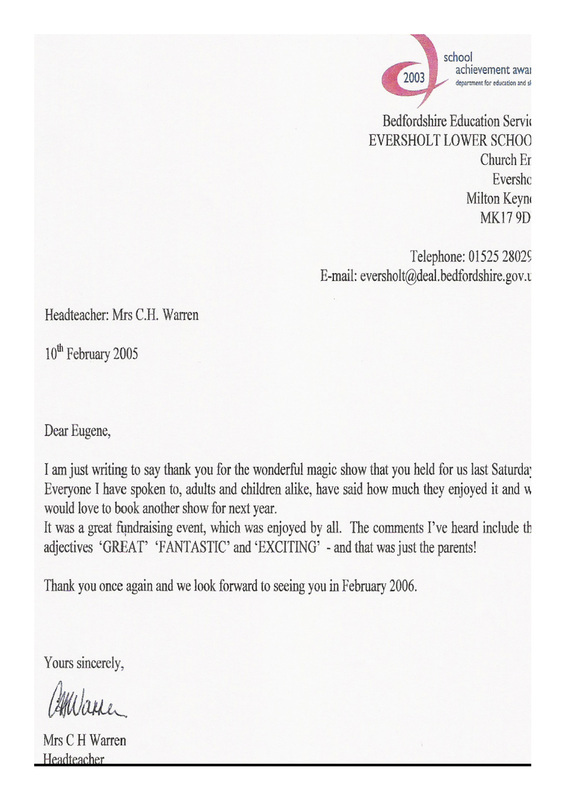 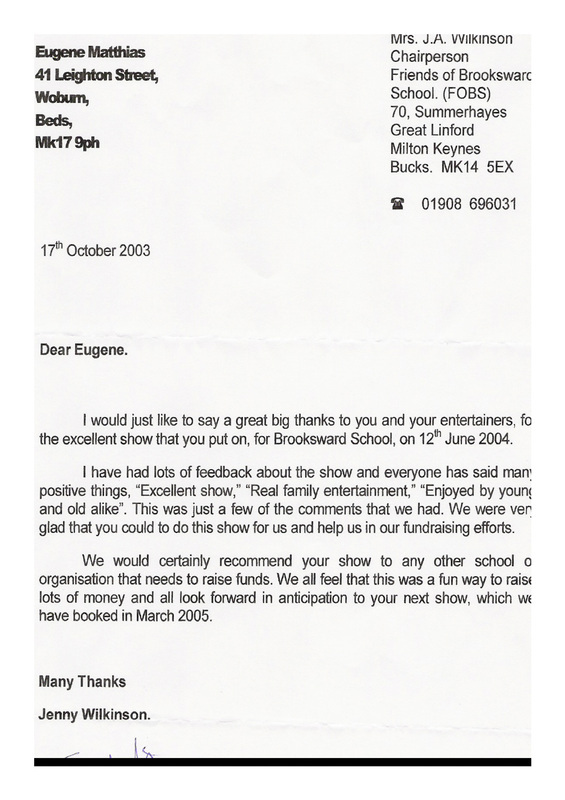 Every year The Magic Club of Great sponsors a series of the 'Magic Live' theatre show as a fundraising event for schools. 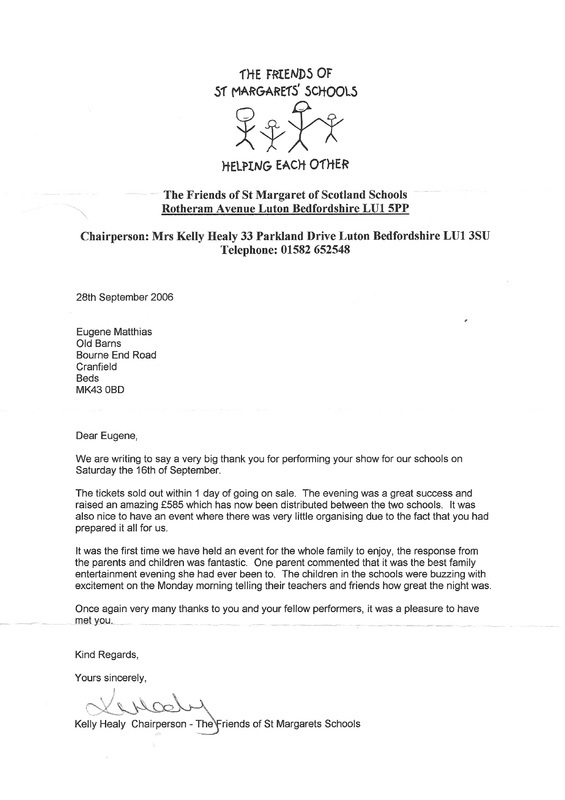 To date this community programme has raised over £200,000 for schools, communities and charities. 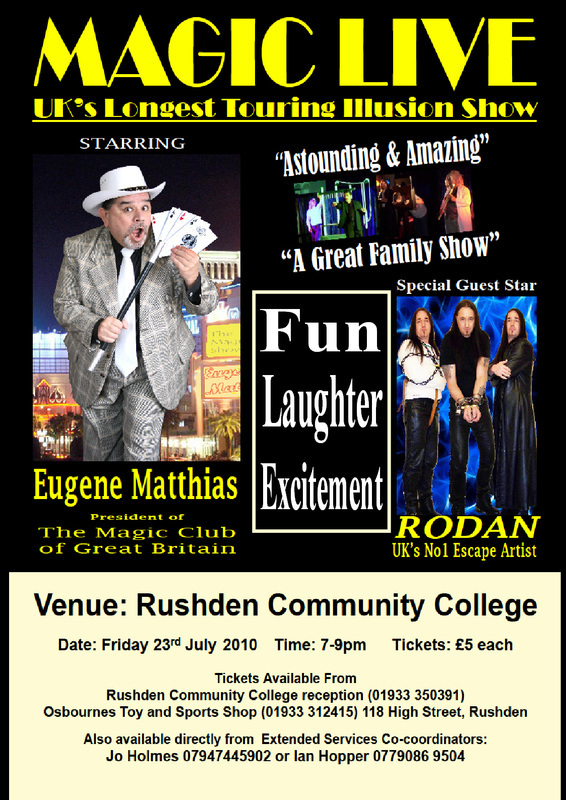 There are one, two and three man shows available top entertainers such as comedy magician Eugene Matthias - President of The Magic Club of Great Britain, ‘RODAN’ 'International Escape Artist' together with guest artist Jay Adkins 'The Mind' plus father and son team 'Hocus Pocus'. 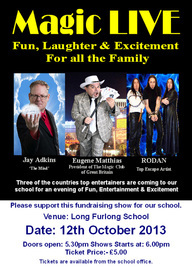 This show is an evening of comedy, fun, laughter and excitement for all the family.